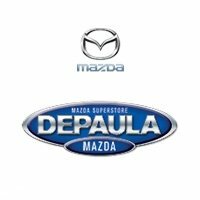 DePaula Mazda takes pride in being the premier automotive shop for Mazda vehicles in the Albany area. Our large inventory and expert staff have the knowledge and tools to fit your vehicle with the parts it needs to keep going. Our Parts Department carries thousands of parts at all times, from essential parts like tires and brake pads, to accessories like floor mats and cargo trays We specialize in Mazda factory OEM parts, but we also carry the parts to fit any make and model. If we don’t have what you’re looking for readily available, we can usually get it within 1-2 business days. Our well trained staff boasts a combined over 100 years experience in the industry. We have the tools to keep make sure we are fitting your vehicle with the right parts that are guaranteed to last. We make it easy to order part online, but you can also call us at 518-375-2148 if you have any questions.